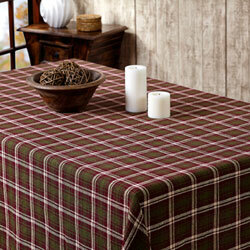 Jackson Burlap Tablecloth, by VHC Brands. 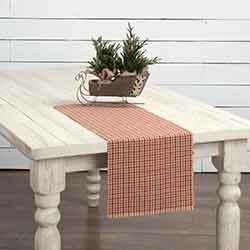 The Jackson Collection features a plaid of forest green, burgundy red, and tan; the tabletop items are made of a soft, cotton woven burlap fabric with fringe on the edges. This is for the Tablecloth, in the 60 x 60 inch size. 100% cotton. Machine washable. Other pieces also available! 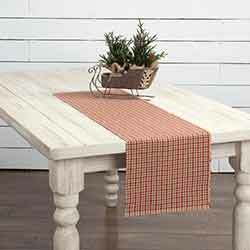 Jackson Burlap Tablecloth, by VHC Brands. 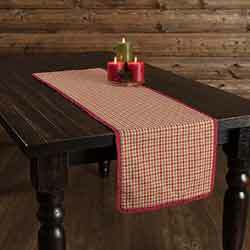 The Jackson Plaid Collection features a plaid of forest green, burgundy red, and tan; the tabletop items are made of a soft, cotton woven burlap fabric with fringe on the edges. This is for the Tablecloth, in the 60 x 80 inch size. 100% cotton. Machine washable. Other pieces also available! 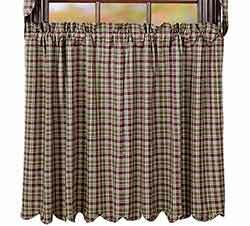 Jackson Plaid Cafe Curtains - 24 inch Tiers, by VHC Brands. 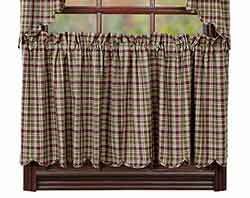 The Jackson Collection features a plaid of muted green, light tan, and burgundy. This is for the Tiers in the 24 inch length. Jackson Tiers, by VHC Brands. The Jackson Collection features a plaid of muted green, light tan, and burgundy. This is for the Tiers in the 36 inch length. 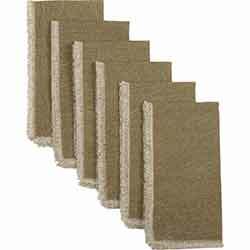 Comes as a set of two pieces, each measuring 36 inches wide (for a total width of 72 inches), and a 36 inch drop. Measurements include a 3.25 inch rod pocket and 2 inch header. Lined. 100% cotton. Coordinating bedding, other window treatments, and table pieces also available! 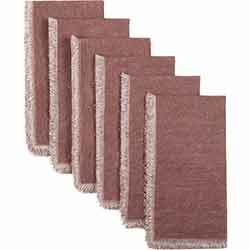 Get the stonewashed look with our Jade Mauve Napkin Set of 6. 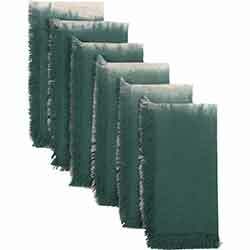 Get the stonewashed look with our Jade Olive Napkin Set of 6. The set is 100% cotton with a frayed edge. 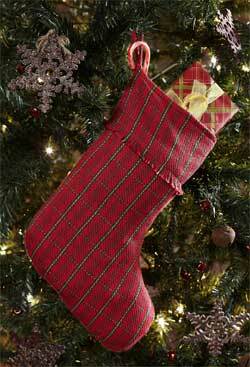 Jasper Stocking, by Nancy's Nook. 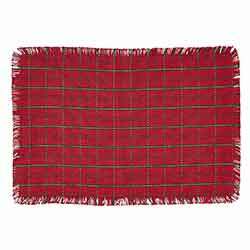 Made with 100% cotton woven fabric, with a red, green, and natural tan plaid pattern. Stocking has a cuff at the top with a fringed edge, and measures 11 x 15 inches. Other items in the Jasper Collection also available! Jasper Tablerunner, by Nancy's Nook. 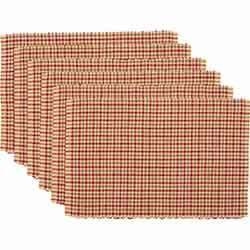 Made with 100% cotton woven fabric, with a red, green, and natural tan plaid pattern. This is for the 36 inch long Tablerunner. Has fringed edges. Measures 13 x 36 inches. Other items in the Jasper Collection also available! 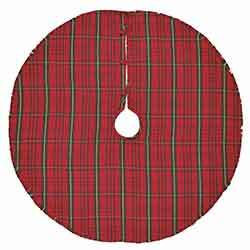 The Jasper Mini Tree Skirt measures 21 diameter and is made with 100% cotton woven into traditional holiday red, green, and natural burlap colored plaid. Jenson features navy, tan, brown and natural tones. Colors are mingled in concentric braids, with the center and border in solid blue. 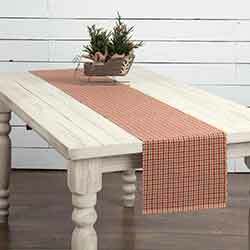 Jenson Braided Table Runner, 48 inch, by Nancys Nook. Jenson Jute Runner features navy, tan, brown and natural tones. 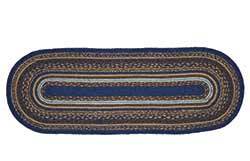 Colors are mingled in concentric braids, with the center and border in solid blue. 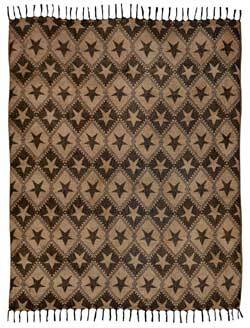 Jenson Jute Placemat features navy, tan, brown and natural tones. >For the Jessa Ombre Napkin Set of 6, we took a light grey thread and crossed it with a light sandy thread creating a casual, beachy chambray. Jessica Jacquard Decorative Pillow, by VHC Brands. 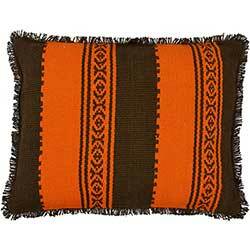 Tribal inspired decorative pillow with a pop of color in tangerine and coffee, perfect for the Aztec or boho look in your sitting room, office, or bedroom! 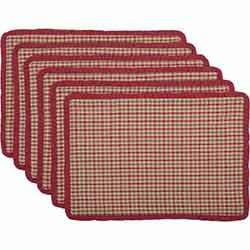 A traditional deep red and olive green with tan gives the Jonathan Plaid Ribbed Placemat Set its signature look. 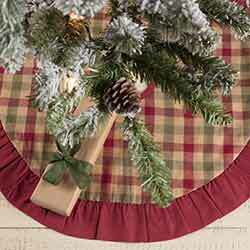 A traditional deep red and olive green with tan gives the Jonathan Plaid Ruffled Placemat Set its signature look. 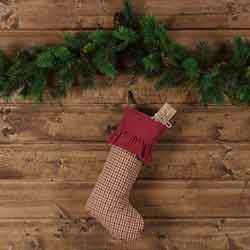 The Jonathan Plaid 20 in Stocking features a deep red, olive green, and tan plaid accented by a red ruffled cuff. 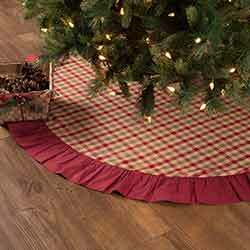 A traditional deep red and olive green with tan gives the Jonathan Plaid 48 inch Tree Skirt its signature look. 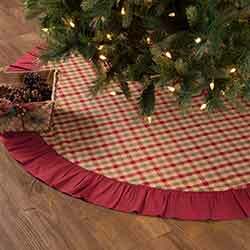 A traditional deep red and olive green with tan gives the Jonathan Plaid 55 inch Tree Skirt its signature look. 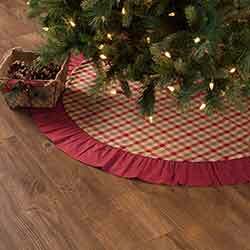 A traditional deep red and olive green with tan gives the Jonathan Plaid 60 inch Tree Skirt its signature look. 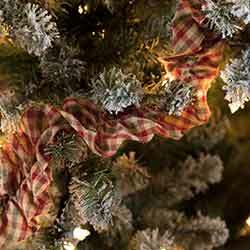 A traditional deep red and olive green with tan gives the Jonathan Plaid 21 inch Mini Tree Skirt its signature look. A traditional deep red and olive green with tan gives the Jonathan Plaid Ribbed 36 inch Table Runner its signature look. A traditional deep red and olive green with tan gives the Jonathan Plaid Ribbed 48 inch Table Runner its signature look. 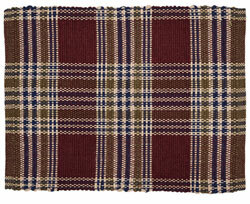 A traditional deep red and olive green with tan gives the Jonathan Plaid Ribbed 72 inch TableRunner its signature look. A traditional deep red and olive green with tan gives the Jonathan Plaid Ribbed 90 inch Table Runner its signature look. A traditional deep red and olive green with tan gives the Jonathan Plaid Ruffled 36 inch Table Runner its signature look. 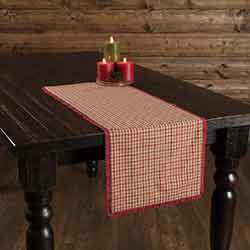 A traditional deep red and olive green with tan gives the Jonathan Plaid Ruffled 48 inch Table Runner its signature look. A traditional deep red and olive green with tan gives the Jonathan Plaid Ruffled 72inch Table Runner its signature look. 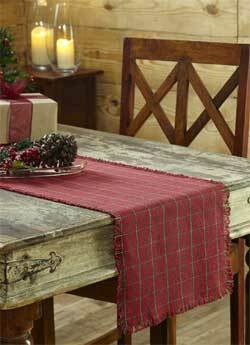 A traditional deep red and olive green with tan gives the Jonathan Plaid Ruffled 90 inch Table Runner its signature look. 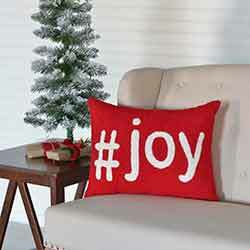 A fun and modern take on a timeless message, the filled #Joy Pillow 14x18 is a textured hand-hooked barn red with #joy embroidered in snow white. Merry Christmas from Paris! The Joyeux collection creates a perfect look for a vintage Christmas. 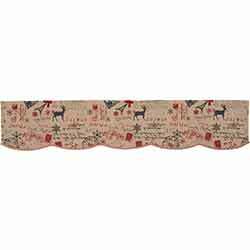 This 13x36 table runner will be the highlight of your table! Merry Christmas from Paris! The Joyeux collection creates a perfect look for a vintage Christmas. 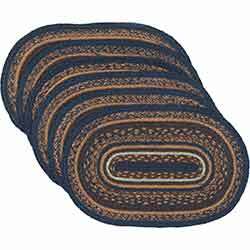 This mantle scarf will bring that touch of vintage to your hearth. Merry Christmas from Paris! 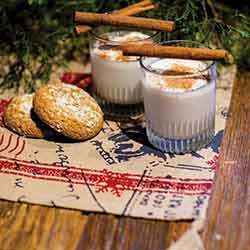 The Joyeux collection creates a perfect look for a vintage Christmas. 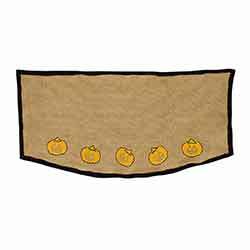 This set of 2 button loop towels will bring that touch of vintage to your kitchen.